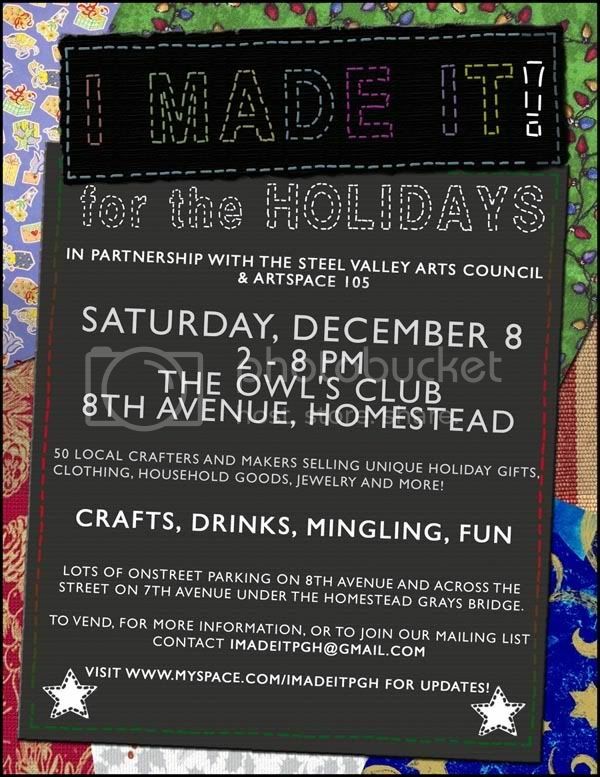 Don’t miss out on this opportunity to purchase unique and few-of-a-kind handmade holiday gifts created by more than 50 local artists. This Market is produced in partnership with the Steel Valley Arts Council – visit artists in SVAC’s Artspace 105 during the Market. For more information, visit www.steelvalleyarts.org.